Sagar Jha is still the president of the Dalhousie Student Union (DSU) after last Thursday’s surprising revelation he violated the union’s constitution by withdrawing from his only class. DSU council will ultimately decide his fate later this month, but until then, Jha believes it’s in the union’s best interest for him to stay put instead of resigning. “I think that if I were to leave tomorrow, I would put the union in a very challenging position, and that’s simply because of my active involvement in some mission critical projects that are all converging at the same,” said Jha. 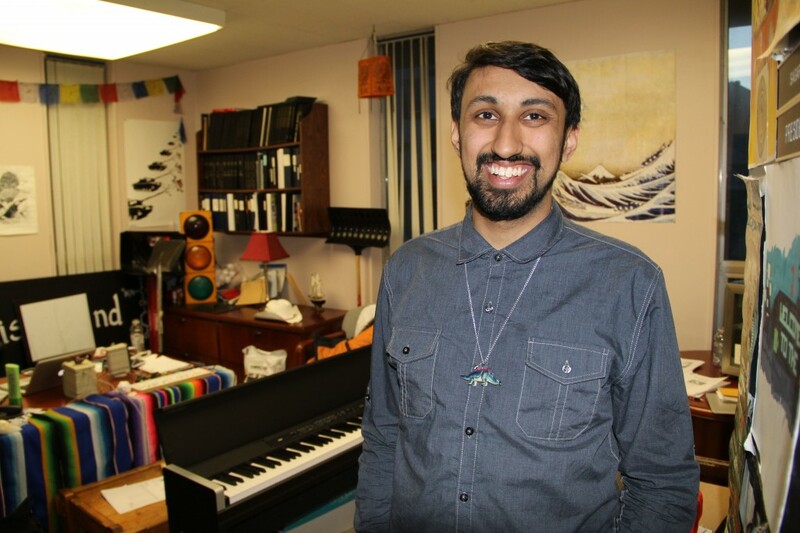 By leaving his only class on Feb. 3, Jha is no longer a registered Dalhousie student, which makes him ineligible to hold a seat on the DSU executive. The union’s constitution reads that all student executives must enrol in at least one class per semester. The consequences of Jha’s mistake could be disastrous. Council will hold a recall vote on Wednesday, Mar. 26. A two-thirds majority is required for dismissal. Independent of that decision, Jha’s presidential duties are valid, except potentially when it concerns the annual general meeting held on Feb. 12. The only requirement of the president at the AGM is to call the meeting to order. Jha, however, moved a majority of the motions, a privilege granted only to students. Most AGM decisions were procedural and would not make a major difference to the union’s day-to-day operations if they were cancelled, but an amendment concerning how the DSU can leave its external advocacy groups (a majority vote on council instead of a referendum) might create a chain reaction. If that motion is void, it may invalidate the student union’s controversial ruling to abandon the Canadian Alliance of Student Associations and Students Nova Scotia. Jha voted in favour of both motions, which passed 17-15 and 16-15, respectively. Jha said he and the DSU’s legal council are evaluating the legality of the AGM. A motion to rejoin Students Nova Scotia is was brought forward at the Mar. 12 council meeting. Jha and the DSU have been scrambling since March 4 to determine their course of action after Jha learned he was no longer a Dalhousie student. The DSU president was “100 per cent confident” he was not violating the constitution when he dropped his sole class, The Census of Marine Life, in early February. He thought he was still a union member because he already paid DSU membership dues. As he found out the hard way, he needed to be in a class. “I overlooked the portion of the constitution that says that members of the union shall be a registered student at Dalhousie and pay union dues,” Jha confesses. Jha attempted to rejoin his class or any other, but the university was not so accommodating. Jha declined to explain why he left his class, but said part of the reason was the extensive time commitment required of a student union executive. Either way, he wishes he had a do-over. He would have stayed in the class but stopped attending. “If I had known what I know now, I would have taken the F,” said Jha. Jha has been dismissed by the university from his seat on the senate and board of governors. Council chose his replacement on Wednesday, Mar. 12. Despite the sullen subject matter, Jha was his usual affable self in a sit-down interview with the Gazette the day after the student body was informed of the news last Thursday. He laughed a few times, like when he said he did not receive the mass email sent to all DSU members, being as he isn’t one. To Jha, there’s no reason to grieve. “Right now, as it stands, I’m the president of the DSU and I have the duty to act as such, so I decided I may as well fill that duty with a little bit of joy,” he said. When asked if he feels he has let down his constituents, it took Jha 13 seconds to reply. “I would say yes and no. Yes, in the sense that I’m no longer a member or constituent of the people that I represent and I think that’s disappointing for students,” he said. “The reason that I say no is because, and I don’t want to sound egotistical when I say this, but I don’t want to discredit all of the work that I have done which has helped students. “Ultimately, yes, I have let students down,” he added. Jha said he is proud of his presidency, from his involvement in the Student Union Building renovations to providing voting booths during the provincial election and starting a weekly farmer’s market. With assistance from the registrar, the DSU president is moving forward to prevent future executive members from withdrawing from their academic commitments. Potential options include a directed reading class for student union executives and developing a course where the final project is the transition report outgoing executives give their successors. “I know we’re in a poor situation, I know that I made a big mistake and I understand that students are concerned about it, but we’re going to deal with it in a very constructive manner,” said Jha. Jha has been flattered by the support he has received from the university community, friends and even councillors he has disagreed with. In spite of this, Jha said he has no sense of whether council wants to recall him. He doesn’t want to know. He believes removing himself from the conversation is the right thing to do. “I’m trying to make the decision that’s best for the union, maybe not the decision that’s best for me, professionally or personally,” he said. Jha was elected DSU president last March with 68 per cent of the vote in a three-man race. Why should this guy be an exception to the rule? Dalhousie “STUDENT” Union. He isn’t a student so I don’t see why he should be able to hold his position. Fair point Nick, he shouldn’t be. Despite some, IMO, bad decisions, Sagar seems like a genuinely nice guy. It’s a shame that a series of mistakes has led this situation and it’s good that he continues to do his duties but I sincerely hope DSU council makes the appropriate decision (in accordance with the constitution) and re-calls him. To not do so opens us all up to possible litigation (from CASA, SNS, or both). How many Dal students want their DSU fees to pay for that? Not this one. So the pre-requisite to these classes is election by a student body who has no access to them? Not to mention the subject matter concerns an already mandatory executive task (production of a transition report) for which Dalhousie now should give academic credit?